Back from seeing the saddest group of Saabs ever. 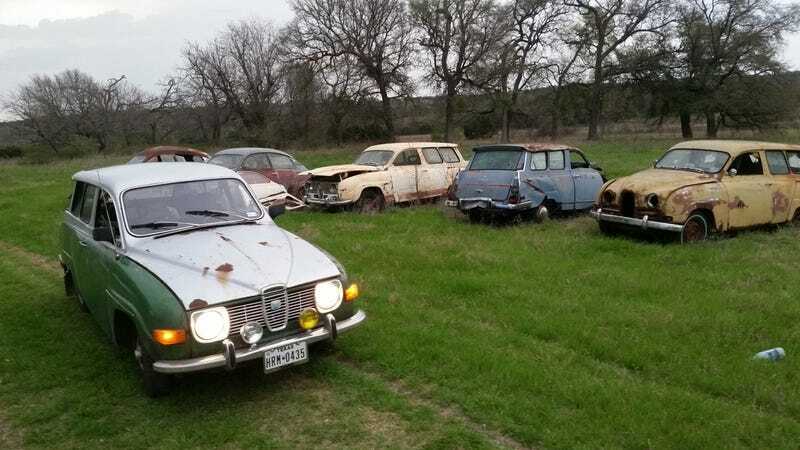 Got the tip off last week about a collection of Saabs headed for the crusher. I was free to grab all the parts I could carry for free if I wanted them. I got a transmission, steering racks, a set of steel wheels, and more than enough hubcaps for them. But the cars themselves were a sorry sight. This wagon had been stored under a roof and was pretty much complete and rust free. I’m trying to get it. Wish me luck. I’d hate to see a car like this go to the crusher.